Escape to the natural beauty of Seychelles Beach Resort. 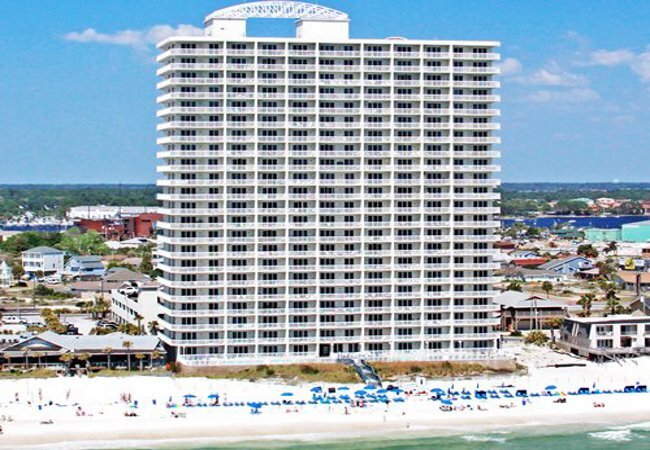 Fronting 200 feet of beautiful gulf-front terrain, this gorgeous high-rise resort condominium rises 22 stories above the sparkling sugar-white sands and emerald green waters, offering spectacular views of the Gulf of Mexico. Located on Thomas Drive, Seychelles is convenient to St. Andrews State Park and only moments from the Marina, where you can enjoy excursions to Shell Island. You’ll also find that when you stay at Seychelles you are near the area’s best dining, nightlife, water park, zoo, deep sea fishing, sailing, diving, snorkeling as well as many other area attractions. Come stay at Seychelles and experience the joy of this wonderful island-style retreat!